May 29, 2017  The alt-country band recorded its major-label debut 20 years ago in a remote studio in Tornillo, Texas. For its new album, Graveyard Whistling, it returned to the very same spot. June 16, 2014  The veteran Texas alt-country band performs songs from its latest album, Most Messed Up. 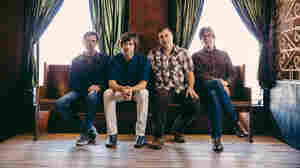 August 20, 2008  Formed in Dallas, the Old 97's were long pigeonholed as an alt-country band. They never were — just a rocking quartet with a terrific songwriter up top. They've just put out their best album in seven years. July 16, 2008  The best little bar-band in Texas is back with more ballads of heartache and anthems for getting over it. 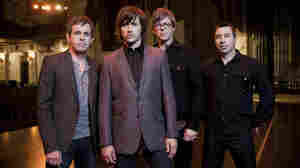 The Old 97's have just released Blame It On Gravity. Front-man Rhett Miller joins Fresh Air to talk about the recording and to perform some new songs. May 13, 2008  A look at the latest CD releases with Josh Freedom du Lac, Washington Post music critic, including new records from Death Cab For Cutie, Duffy, and Old 97's. 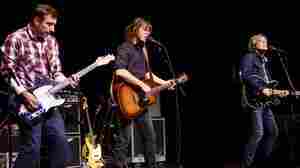 December 29, 2011  Beginning as a pioneer in the alternative country movement of the 1990s, Old 97's is a veteran act. After dropping its eighth album, the band makes its first visit to West Virginia's most famous stage. November 3, 2008  Returning home to Dallas to record Blame It on Gravity, the members of Old 97's turn up the amps and tap their earlier mixture of alt-country and rock 'n' roll. 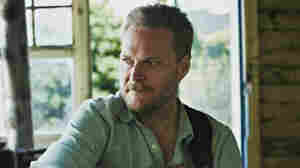 The band performs material from its new album in a session on WXPN.